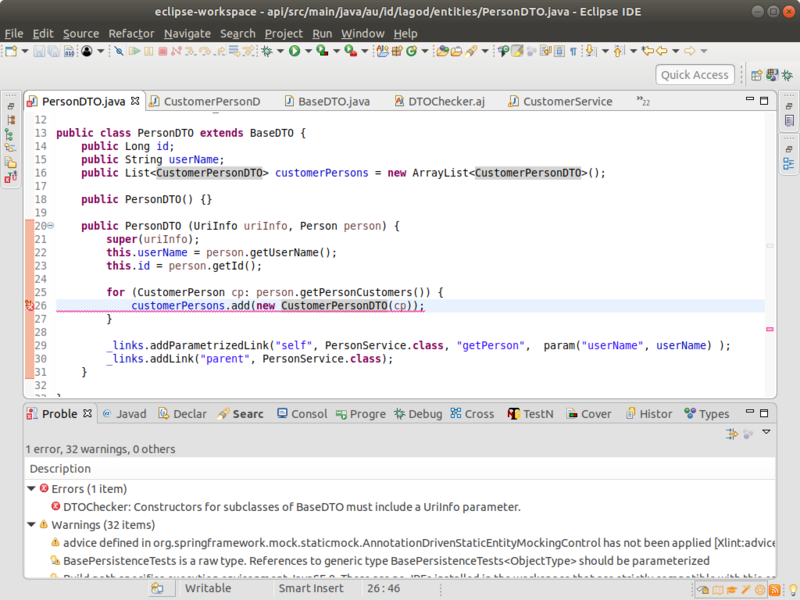 This entry was posted in Software development and tagged aspectj. Bookmark the permalink. ← What’s a domain model for?